V1.1.0 Integrated GameJolt API to allow for logging into a GameJolt account ingame and recording your times on the global leader board. A GameJolt account is not required to play, only to record your score to the leaser board. When you boil the game down to it's most basic components the gameplay is a physics based time trial arcade game. 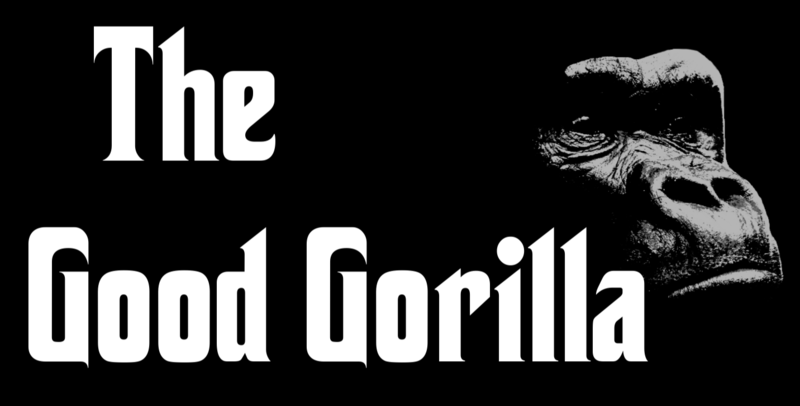 You play as an innocent gorilla in an uncaring world. Small children jump into your enclosure, and the zoo keepers are trying to shoot you because of them. If you are to survive, then you must throw those kids out as fast as you can. Oh and there is a group of hunters that sneak into the zoo after it closes to toss dynamite into your enclosure because... video game logic. 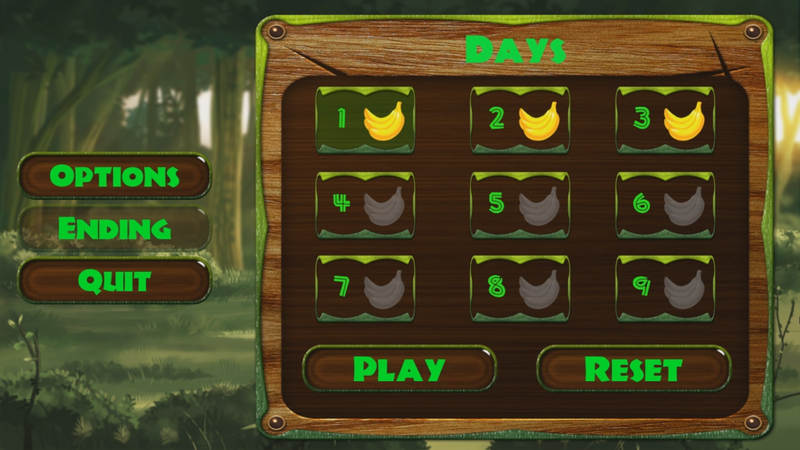 Try to make it through all nine days with gold bananas rating to get the happy ending. The basic idea for the game was throwing kids out of a pit, while avoiding lasers that represent zoo keepers aiming to shoot you. 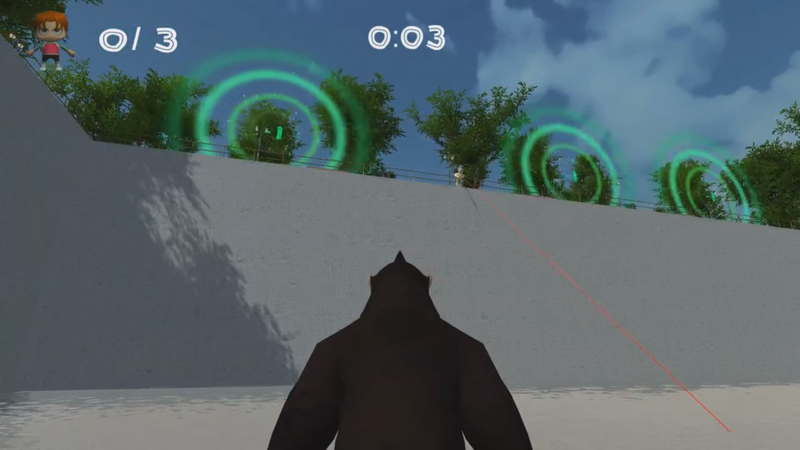 The zoo keepers rotate at a fixed rate, which due to the nature of angles means that the closer you are to the zoo keeper the slower his laser moves, while conversely the further you are away the faster the laser moves. The size of the enclosure and the aim rate of the zoo keepers means that the play will always be slightly faster that the laser. 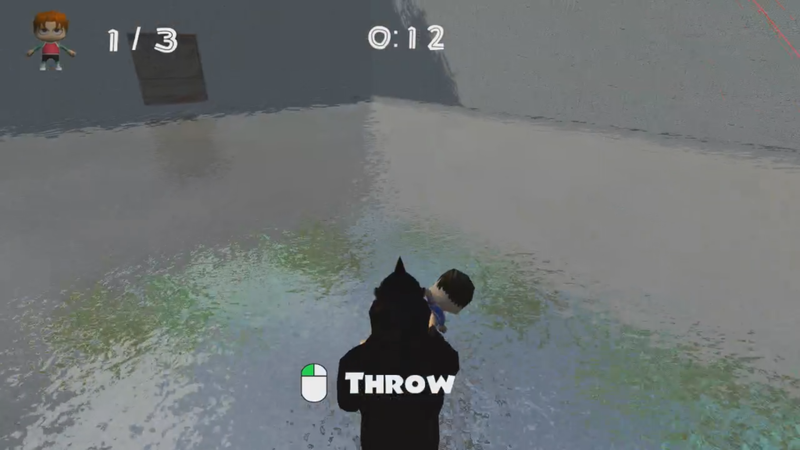 Initially the kids where just going to be ragdolls you through around, but rag doll physics is too unpredictable. Also ragdolls do not run away, so instead they were granted movement such that you had to chase them around. Obviously completing a level that is very short could use with something to rate the players proficiency. Mobile games like to use three stars, but I went with the old three tiered trophies based on metals (Gold, Silver, and Bronze) in banana form. The levels are pretty easy to complete if you take your time, but there is now a motivation to take more risks to get the trophies. Chasing around kids didn't seem like enough, so next I came up with the dynamite idea. Dynamite doesn't run away, but it has a timer, which determines how long the play has before that dynamite needs to be thrown out. The strategy when given a group of dynamite is to throw out the ones with the shortest time first. 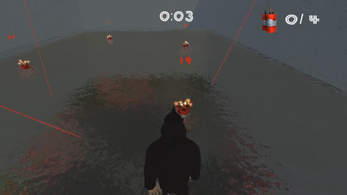 The explosive mines are a very simple idea as just an obstacle to be avoided. 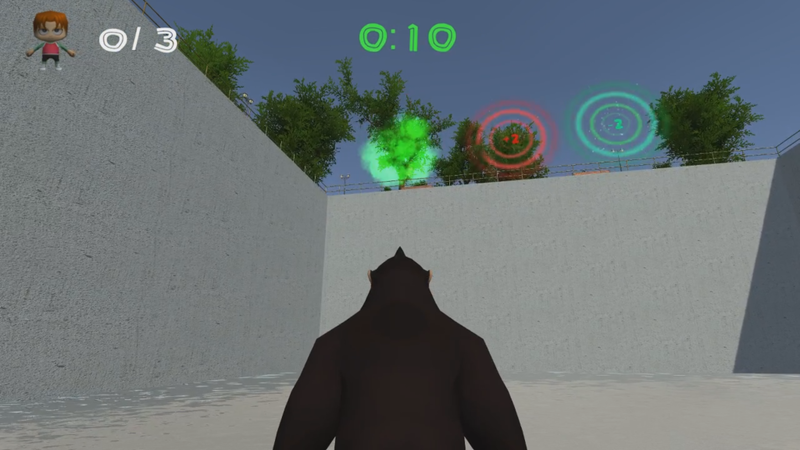 Throwing things by itself is that interesting, so I came up with the floating targets around the enclosure. The game doesn't have a score value, so each ring represents a change to your time. I decided to use the colors green and red as to represent good and bad targets respectively. Good targets decrease your time while bad targets add to it.